My adventure with Nikkor 18-105mm began when I was rush to buy a new kit lens for my Nikon D5300 camera. It was around 2 weeks ago. A day earlier my wife hit the Nikkor 18-55mm f3.5-5.6 VR II accidentially making it diagonal on front part of the lens. In effect I was not able to adjust the kit to my photos and one thing, that I could do was taking photos manually. Knowing that repair old one cost 60 GBP (at least in the Epsilon service shop) I have decided to buy a new one. 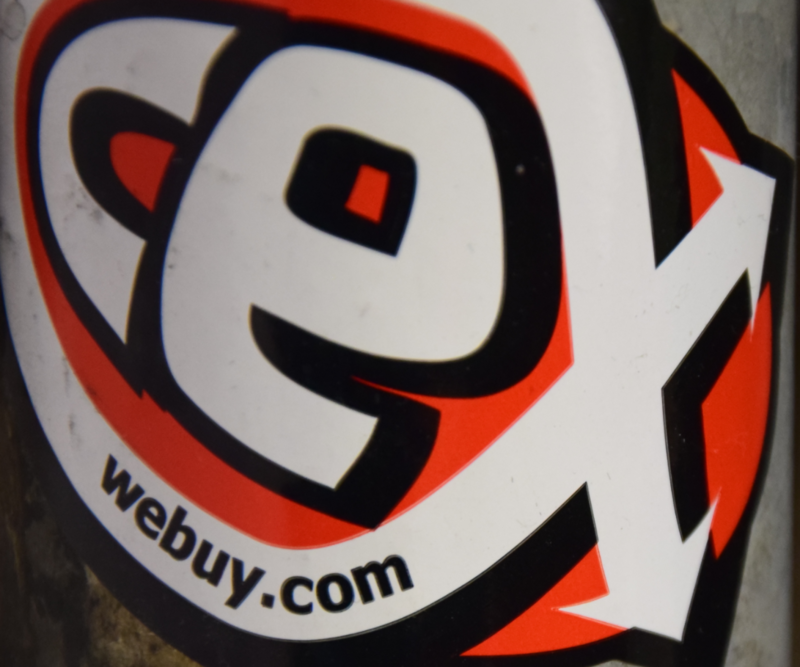 Being in London that day I popped in to the Cex shop in Euston and bought other one. I was aimed at Nikkor 18-140 mm to use it in flightseeing without permanent changing the lens during the flight. I saw on board, that they have Nikkor 18-105 mm only. After short test I made quick decision and bought it. Having 2 days to give it back just in case I decided to test this lens and get to know all prons and cons of it. In the result I gave it back to the Cex shop 2 days later. Anyway in this article I would like to share my opinions & test results with you. I took into consideration almost all issues, that has been raised up with previous lenses. 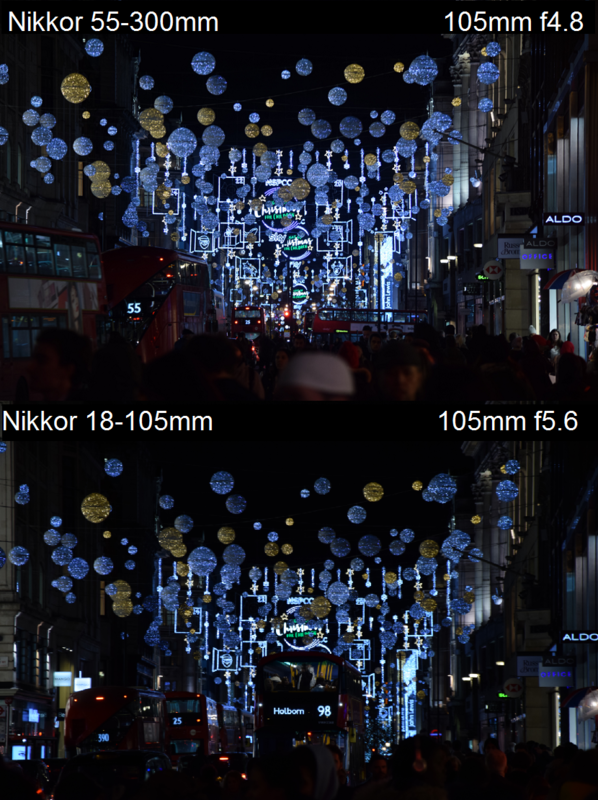 The 18-105 mm tst was more comparison between my previous ones: Nikkor 18-55 mm f3.5-5.6 VR and Nikkor 55-300 mm f4.5-5.6 VR. Becaue during that days I had both Nikkor 18-105 mm and Nikkor 55-300 mm this test will be more focused on comparison between those 2 lenses. A first thing, that I would like to mention is distorsion. I have not described it before, because I didn’t realize, that it may influence for my pictures a lot. To be honest making a panoramic views by the Nikkor 18-55mm was really pointless (Pic. 1). I would like to mention, that I used to make panoramic views on 18 mm mainly. Pic. 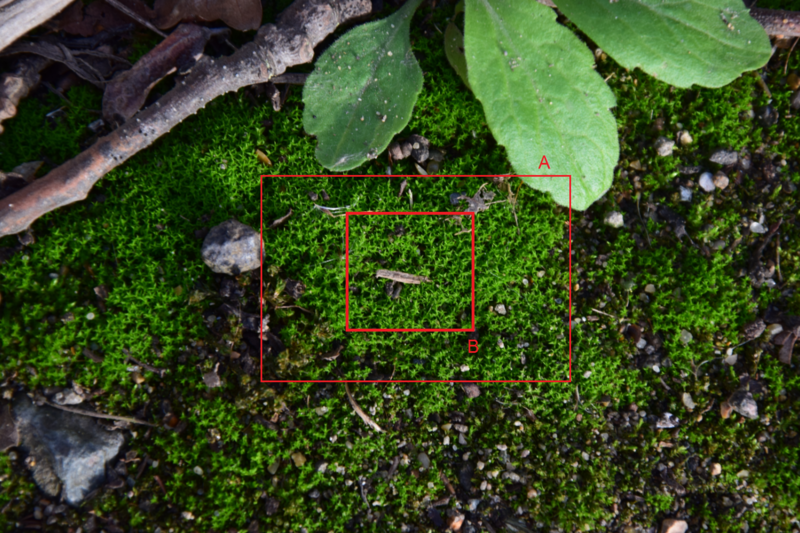 1 Distortion problem in the Nikkor 18-55 mm f3.5-5.6 VR II (18 mm): Black square – reference points, red ovals – distortion examples. The U.S. Highway No 26, near Riverton, WY, United States. Let’s see how it looks in Nikkor 18-105 mm f3.5-5.6 VR. 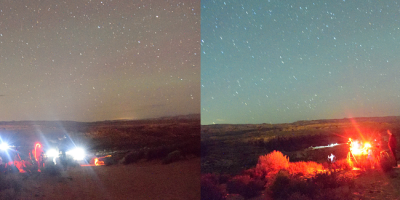 I have created 2 panoramic views on 18 mm (Pic. 2,3). Pic. 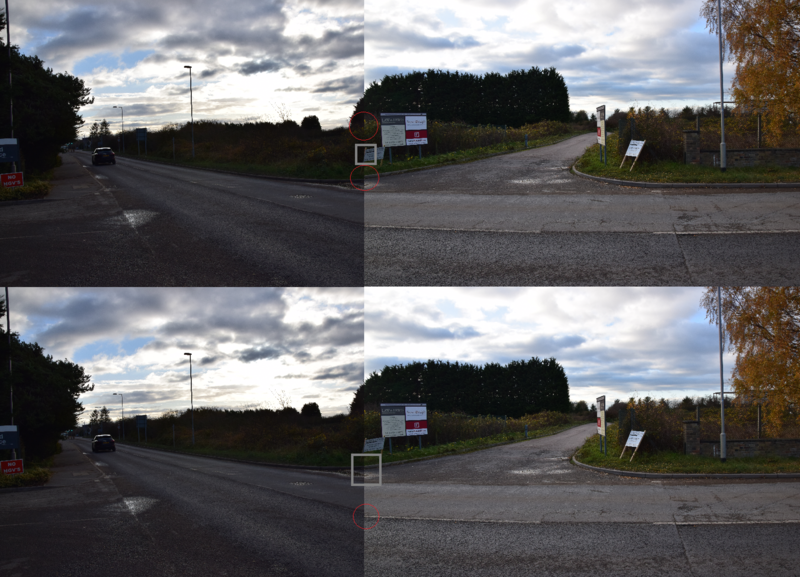 2 Distortion problem in the Nikkor 18-105 mm f3.5-5.6 VR (18mm): Grey square – reference points, red ovals – distortion examples. Longstanton, Station Road, United Kingdom. Aforementioned examples shows the panoramic views, that has been stitched near the edges of picture. In general in case of Nikkor 18-105 mm it seems to ben better. In another case I prepared a view stitching the pictures closer to the middle of the picture. Unfortunately it looks much worse. Pic. 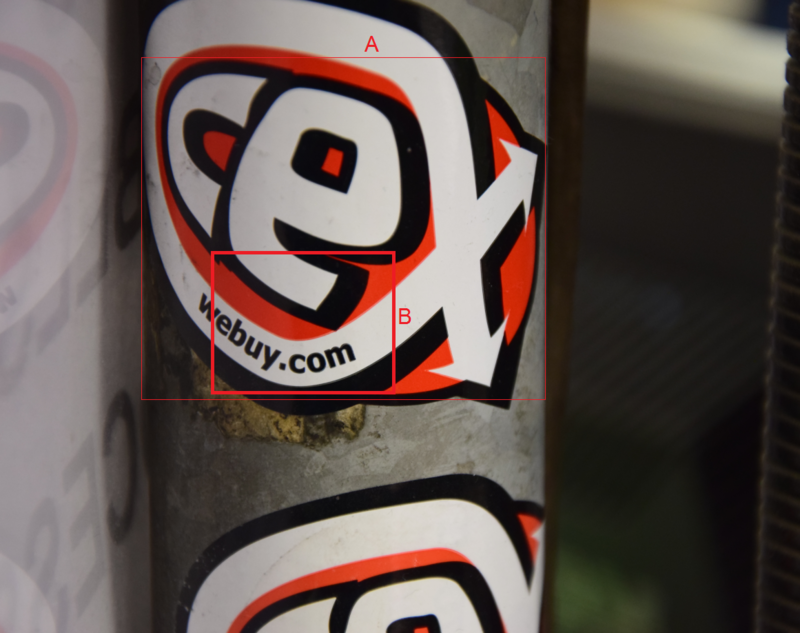 3 Distorsion problem in the Nikkor 18-105 mm f3.5-5.6 VR (18mm) when stitch photos deeper: Grey square – reference points, yellow ovals – distortion examples. Longstanton, Park & Ride, United Kingdom. 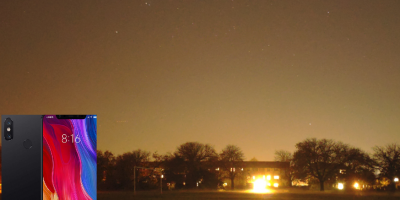 As you can see above the stitched images are not useful at all. Both Nikkor 18-55 mm and Nikkor 18-105 mm are not capable to make a good panoramic views without supporting software. 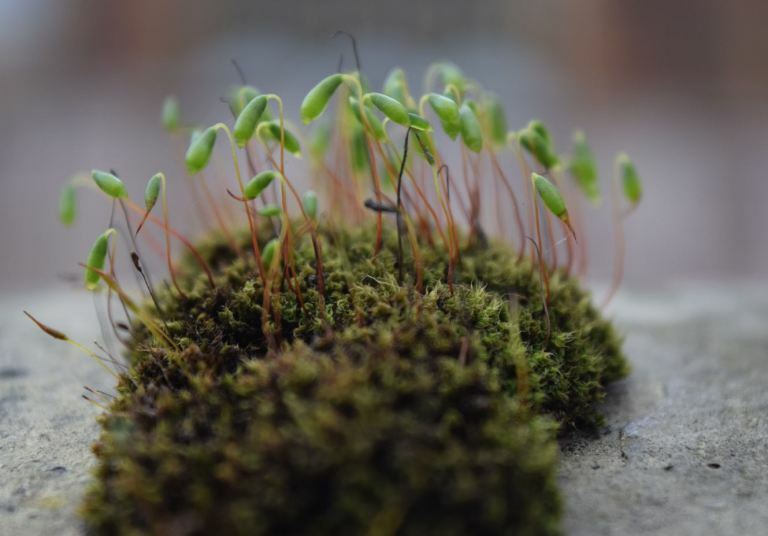 Let’s take a look on another feature – macro. Officially macro in Nikkor 18-55 mm doesn’t exist however I was able to make a favourable photos of plants and insects. This issue is open and depends on your needs. you may say, that cropping the picture to make an object bigger is a joke. I can tell you, that they are fine. Everyone will have own opinion about this. 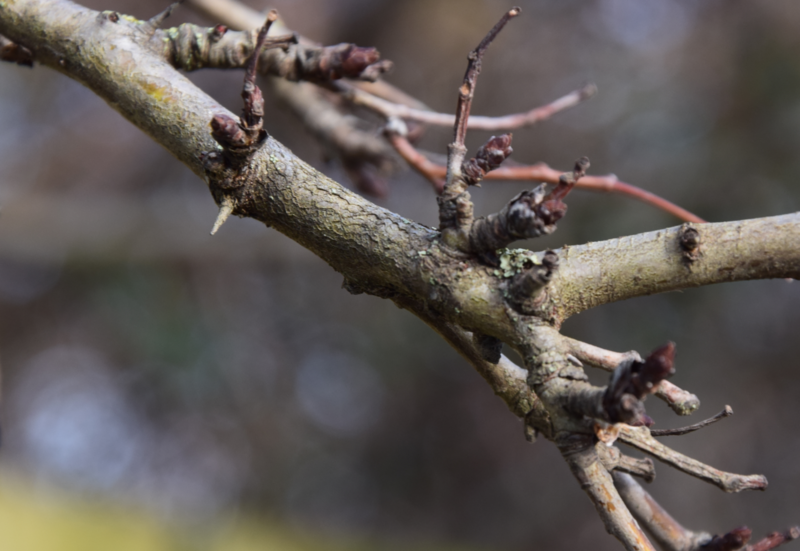 For me the macro in 18-55 mm really works (Pic. 4). Pic. 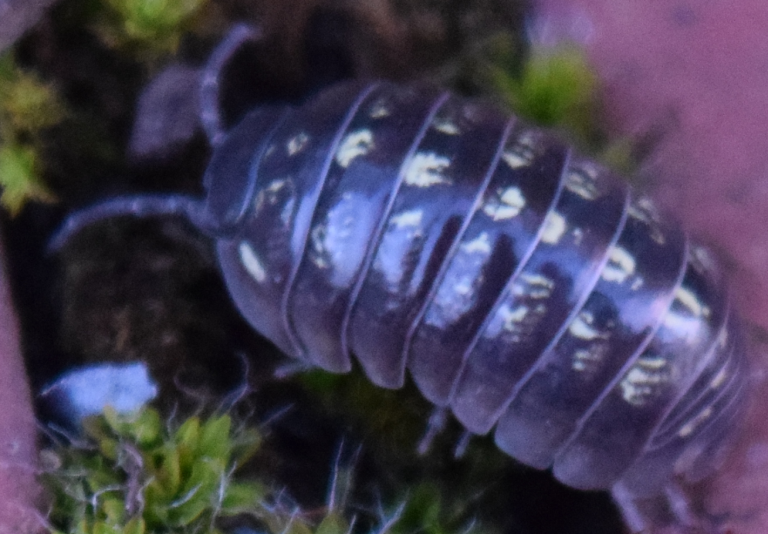 4 Porceillo Scaber (17 mm length) crossing the Polytrichum commune “field” between the bricks, 55mm, 25 cm distance, picture cropped. The 25 m distance is the closest as you can gain by nikkor 18-55 mm. On the contrary to Nikkor 18-55 mm f3.5-5.6 VR II the Nikkor 18-105 mm f3.5-5.6 can’t provide equal results. 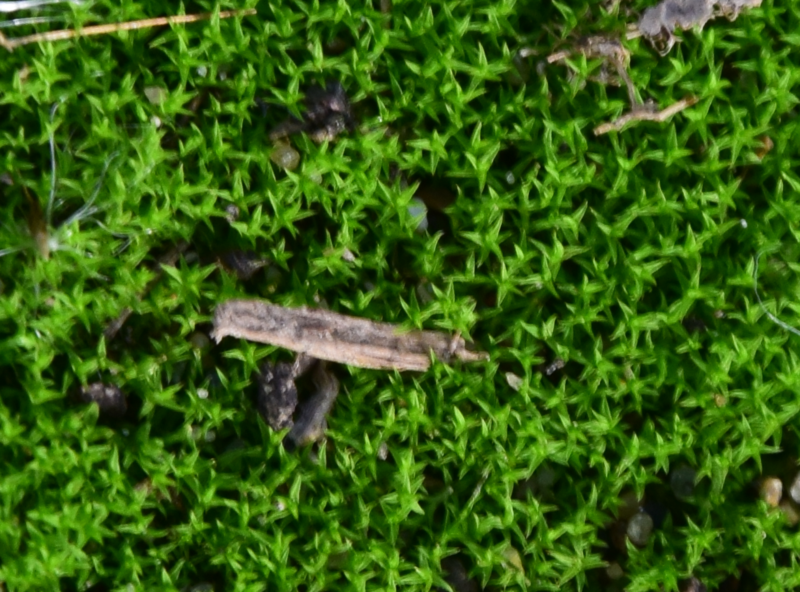 First of all the closest focus distance is 45 cm rather than 28 cm. 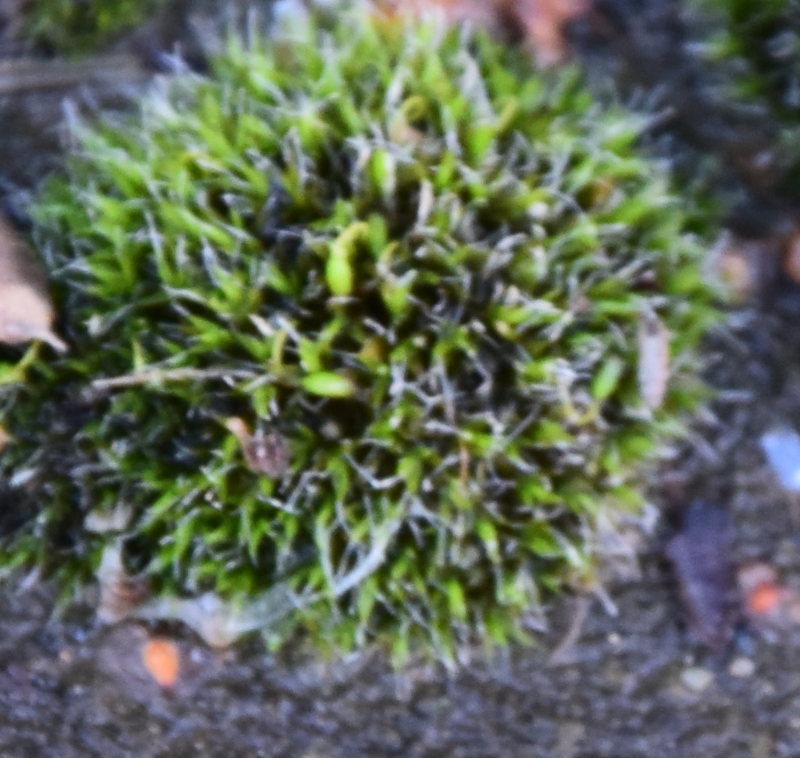 In this case even when use higher focal length you won’t be able to make a good macro picture (Pic. 5-18) . Pic. 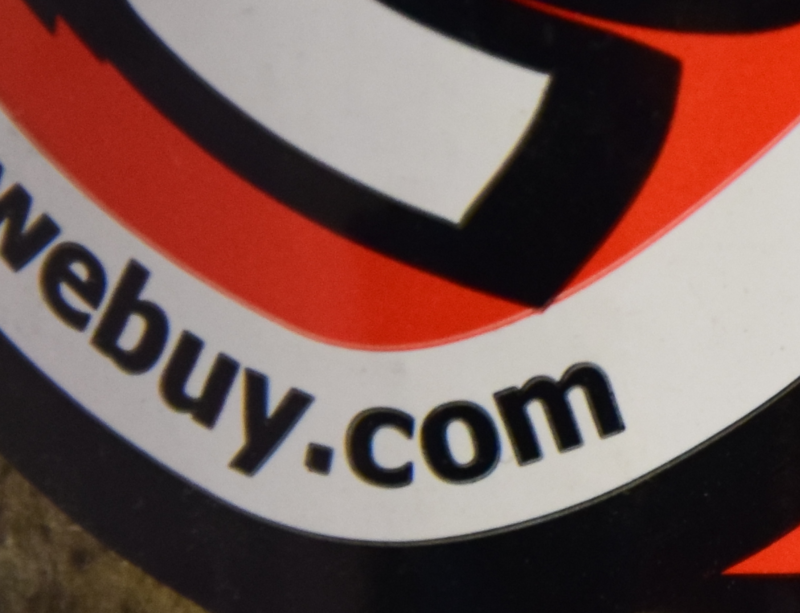 5 – 7 Cropping picture to receive a macro effect: 5 – Webuy.com sticker, 105 mm, distance 45 cm, 6 – A cropped picture, 7 – B cropped picture. Pic. 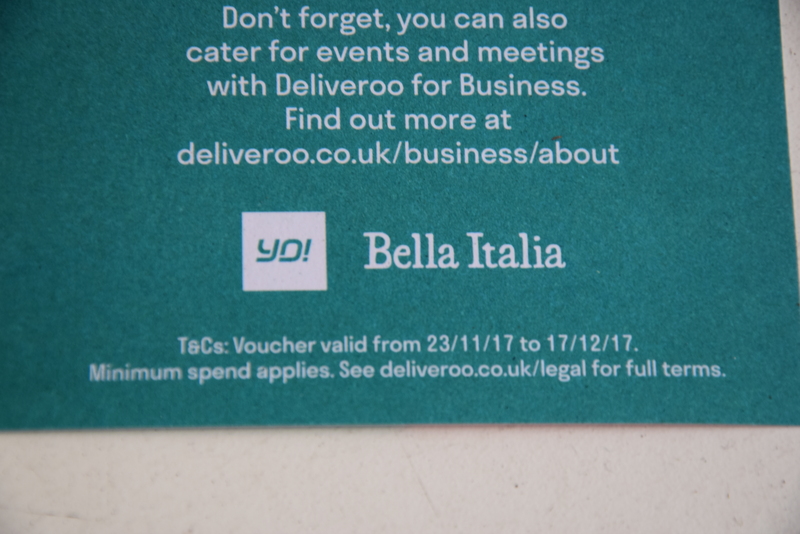 8-9 Bella Italia voucher: 8 – 105 mm, distance 45 cm; 9 – Cropped image. As it worst the long distance is not an only problem. 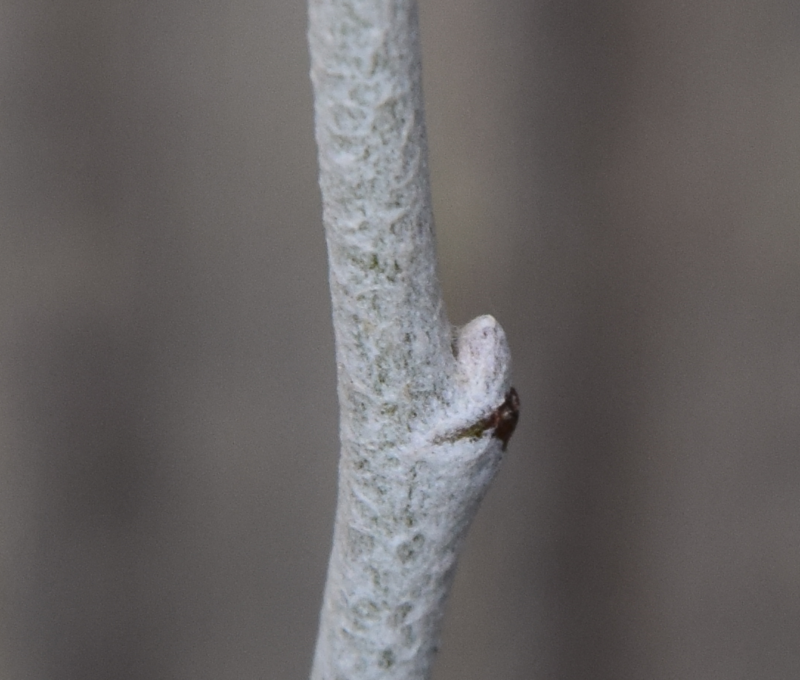 You may have struggle with a chromatic aberration also, that strikingly interferes into your macro photos (Pic. 10-12) during the unfavourable light conditions. Pic. 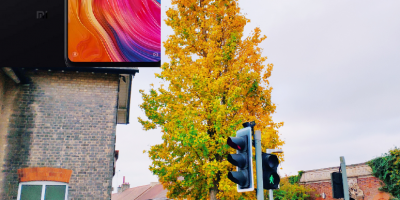 10-12 Chromatic aberration in the photos made with the closest distance: 10 – normal photo 105mm, distance 45 cm, 11 – A cropped picture, 12 – B – cropped picture. I can bring the best example to compare the macro both in Nikkor 18-55 mm and Nikkor 18-105mm using the pictures below (Pic.13-14). 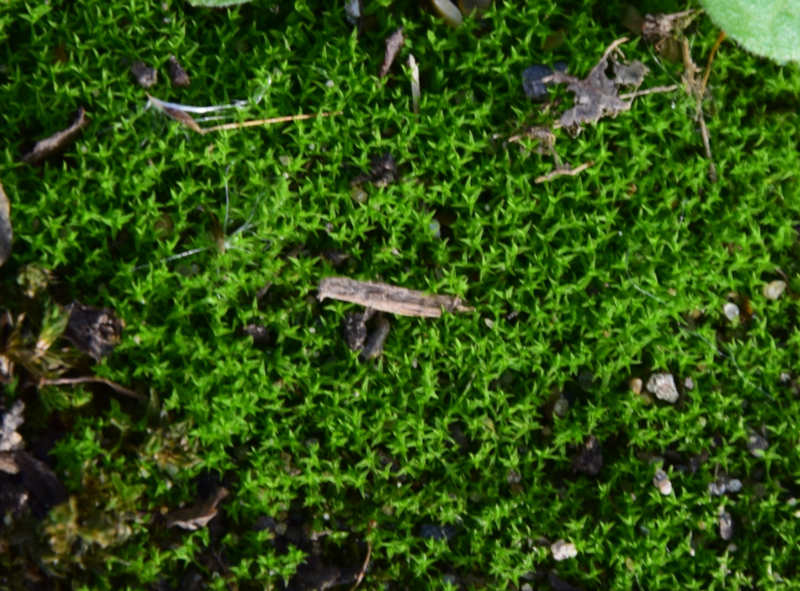 There are the photos of Polytrochium Commune moss. Pic. 14 The Polytrichum commune captured by Nikkor 18-105mm (105 mm, distance 45 cm). Pic. 18 Macro in Nikkor 18-105 mm for 55 mm,70 mm and 105 mm. As you may have noticed, the Nikkor 18-55 mm can provide far better macro effects than his cousin 18-105 mm. At the next step I focused on the zoom features. 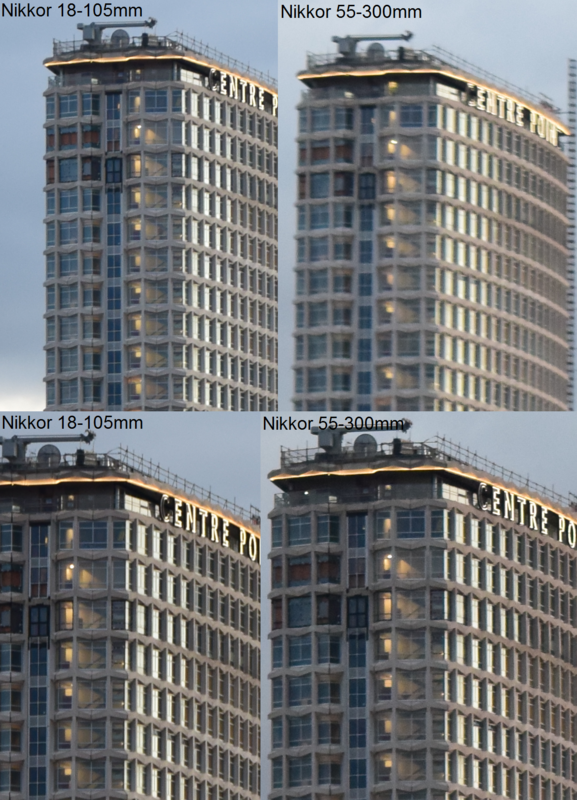 I compared the Nikkor 18-105 mm with Nikkor 55-300 mm. In this case I think, that Nikkor 18-105 mm features slightly better quality than other one. 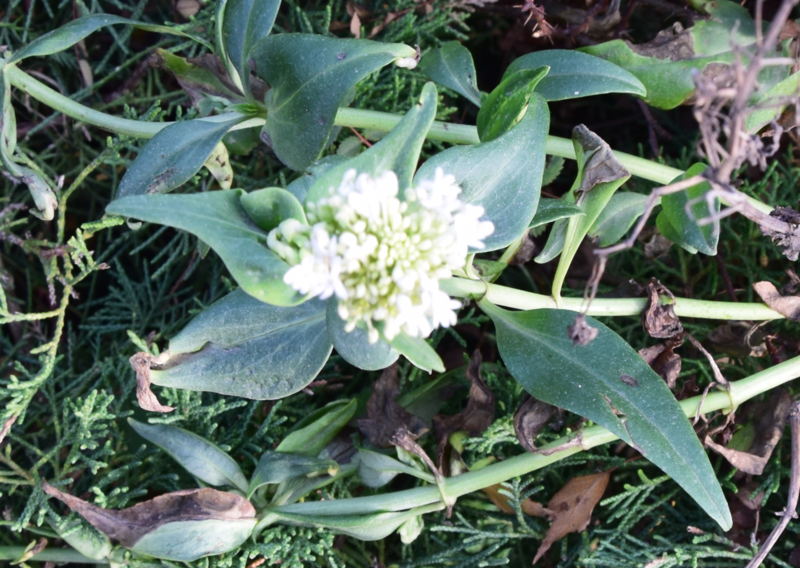 It can be see in the photo quality, that has been attached below (Pic. 19-22). Pic. 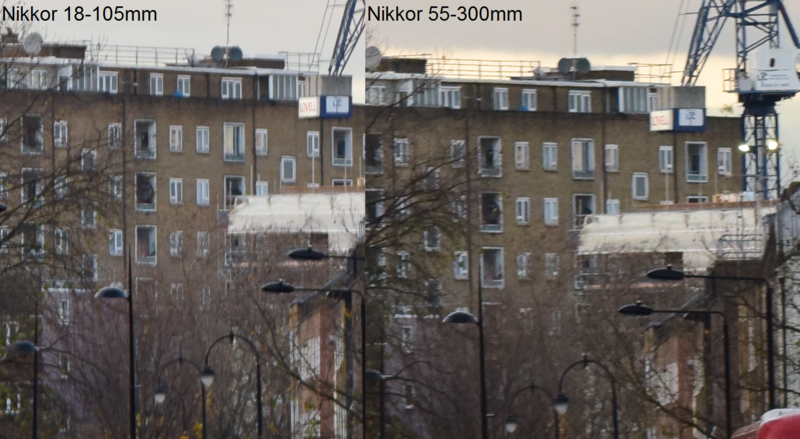 19 Comparison between Nikkor 18-105 mm and Nikkor 55-300 mm: upper image – 55 mm, lower image – 70 mm. As you can spot, left images are in better quality. 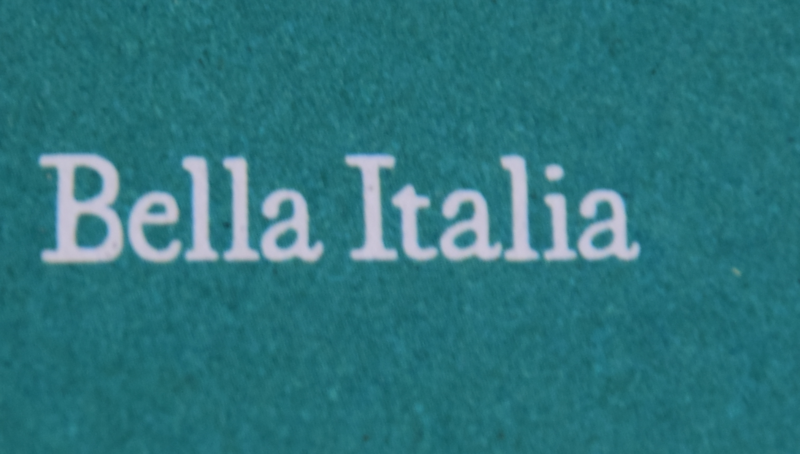 Parameters: 1/125s, F.8-9, ISO 400. Images cropped, London, Gower Street. Pic. 20 Comparison between Nikkor 18-105 mm and Nikkor 55-300 mm. 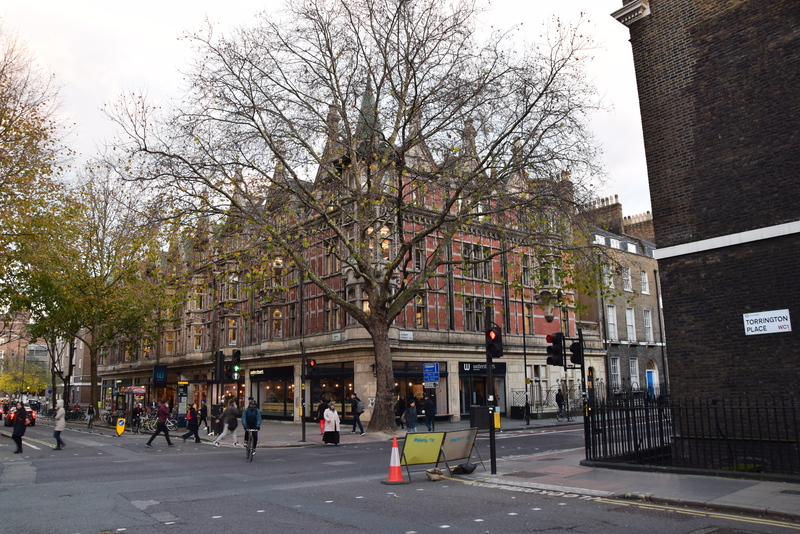 Parameters: 1/60s, F8, ISO 400 (left) and 1/50s, F8, ISO 400, Images cropped, London, Gower Street. Pic. 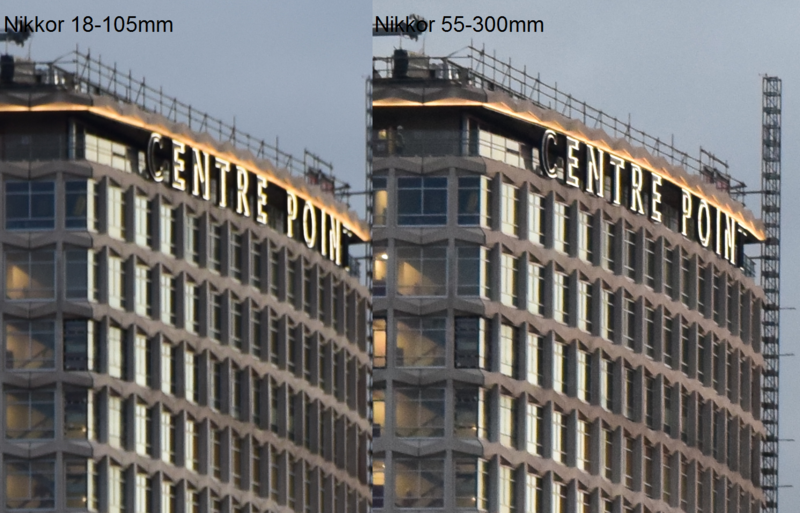 21 Comparison between Nikkor 18-105 mm and Nikkor 55-300 mm: upper image – 55 mm, lower image – 70 mm. Images cropped. Parameters: 1/30s, F7-8, ISO 400. London, Centre Point. Pic. 22 Comparison between Nikkor 18-105 mm and Nikkor 55-300 mm. Images cropped. Parameters: 1/40s, F7.1, ISO 400. London, Centre Point. There are an example photo, that fred me to compare two Nikkor lenses. The parametres are approximate, becuase photos has been taken on Landscape mode. Pic. 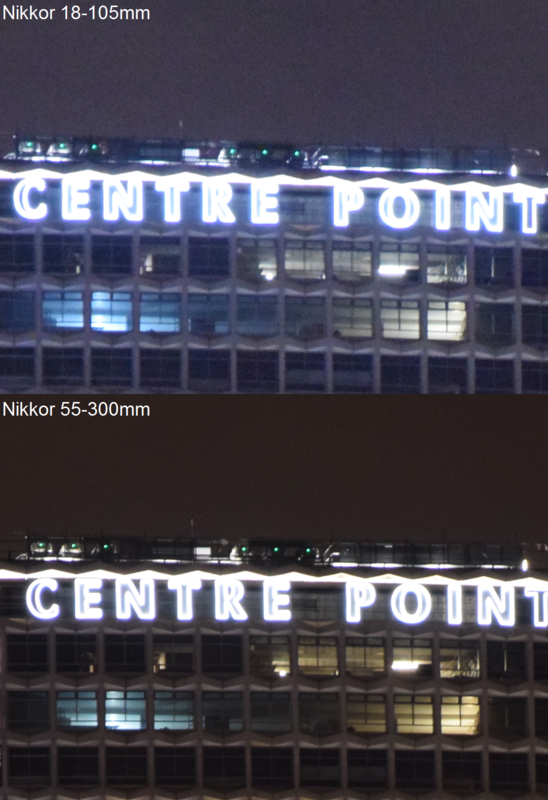 23 Comparison of Nikkor 18-105 mm and Nikkor 55-300 mm in night conditions. Images cropped. Parameters: left; 1/15s, f5.6, ISO 6400; right; 1/6s, f5.6, ISO 1600. London, Centre Point. Pic. 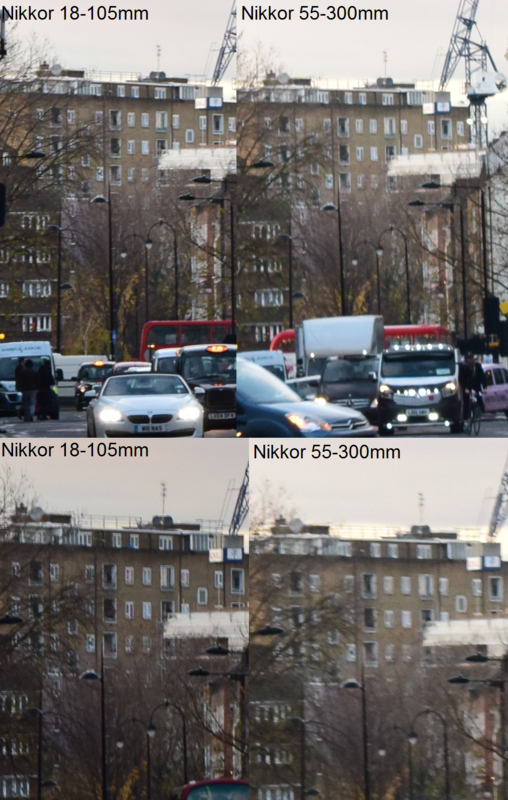 24 Comparison between Nikkor 18-105 m and Nikkor 55-300 mm for time 1/40s, ISO 640. 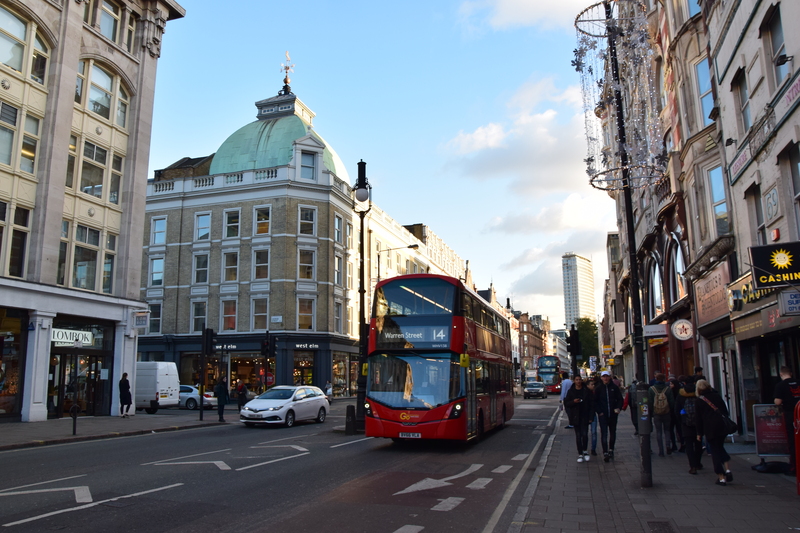 London, Oxford Street. 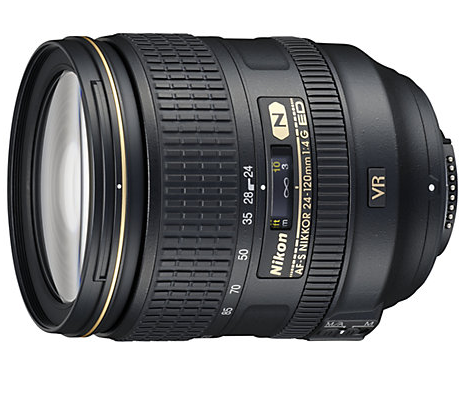 In general Nikkor 18-105 mm is able to make better shots than Nikkor 55-300 mm (considerating from 55 to 105mm). Nikkor 18-105 mm f3.5-5.6 VR works fine in the night conditions. For smaller focal lengths it privides a better aperture unlike to higher aperture, where Nikkor 55-300mm prevails. Pic. 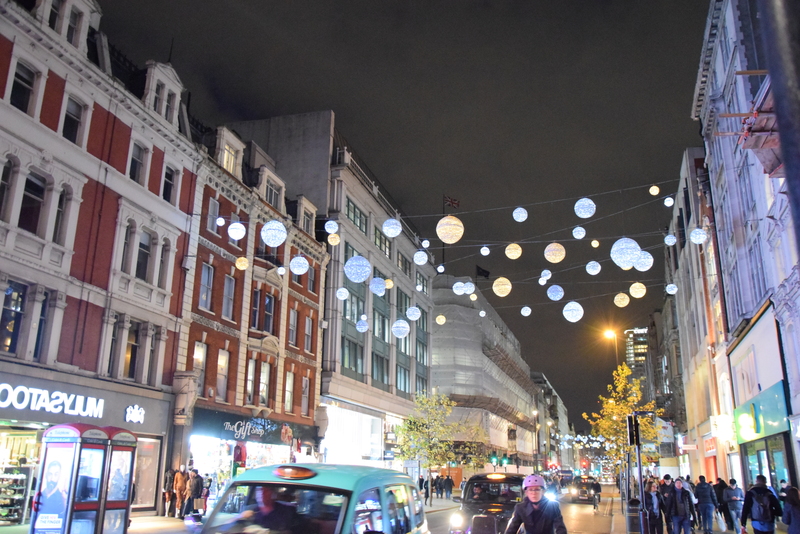 25 London, Oxford Street before Christmas; 21 mm, 1/40s, f3.8, ISO 6400. Pic. 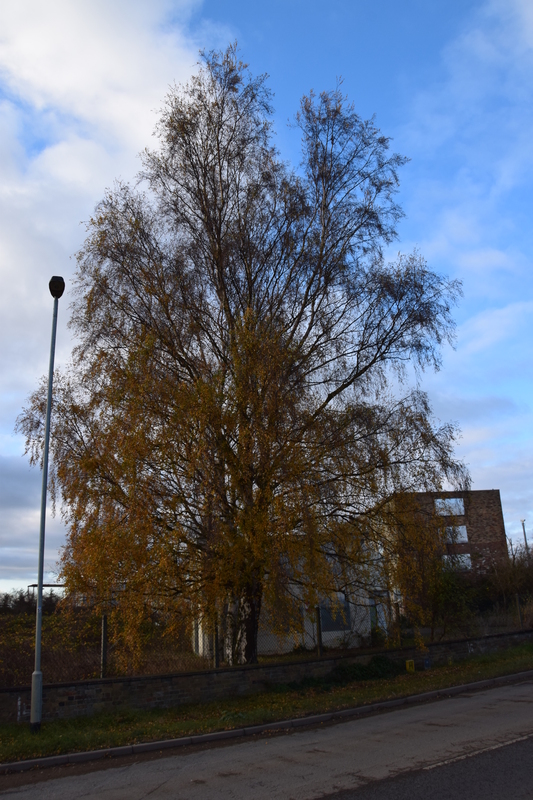 26 Autunm birch (Betula);18 mm, 1/250s, f3.6 ISO 400. Longstanton, Station Road. Pic. 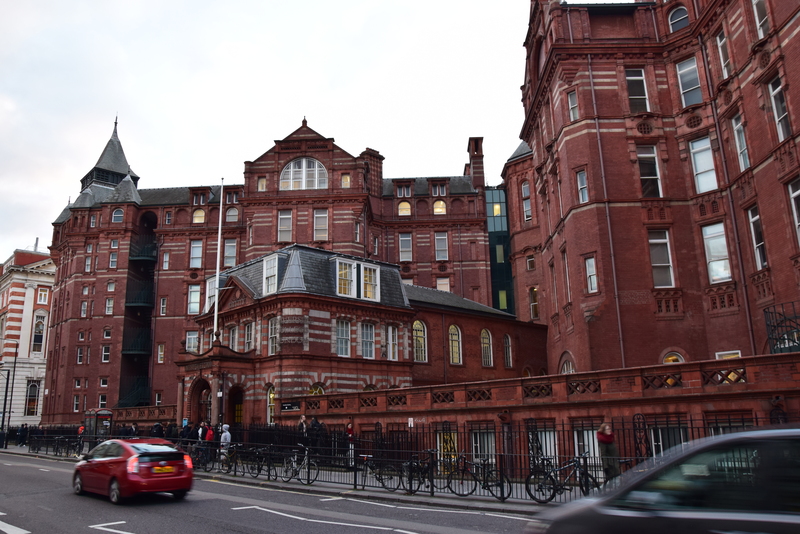 27 London University College, Gower Street; 18 mm, 1/30, f7.1, ISO 4000. Pic. 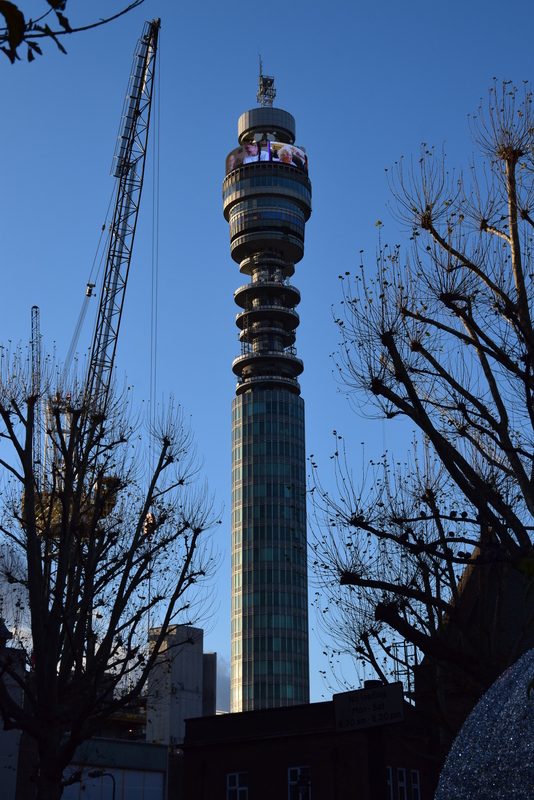 28 London BT Tower seen from the Totenham Court Road; 42 mm, 1/400s, f11, ISO 400. Pic. 29 London, the Totenham Court Road with Centre Point skyscraper in the background; 18 mm, 1/125s, f9, ISO 400. Pic. 30 London, the Gower Street seen from Torringdon Place; 18 mm, 1/40s, f7.1, ISO 400. In my case the Nikkor 18-105 mm f3.5-5.6 VR was not sufficient to use. You must make your own decision. I hope, that all prons and cons, that I have shown in this short article will help you choose a lens, that you think about. Your 55-300 looks unusually soft. While I no longer have the 55-300 I once did, I do recall it being significantly better at all common focal lengths in every aspect, vs the 18-105. And I certainly don’t recall such soft photos at its wide end – maybe at 300, where it is by design [limits] not as good, but definitely not at 55mm, where it’s strongest. If you haven’t already, check your 55-300 at 55 / 70 / 100 / 200 vs 300. 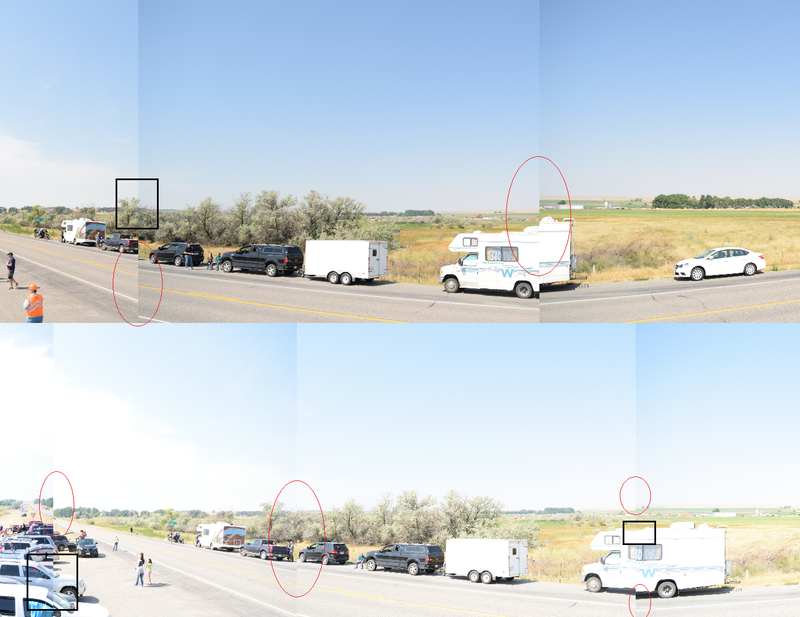 If it’s not substantially sharper at all focal lengths ≤200, than it is at 300, then it might be a bad copy. In my case the worst pictures are taken by 200-300mm and I am wondering why.